Know some of the basics of how to use Keynote. Bring your Apple laptop. Must have Keynote 09 and 13 installed. 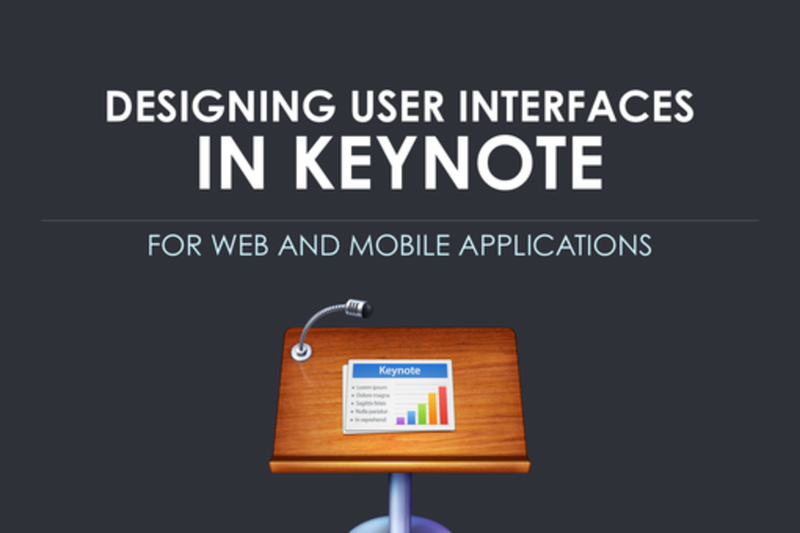 Keynote is an incredibly efficient tool for designing user interfaces for web and mobile applications and allows you to wireframe, create high fidelity designs, mockup interactions, create visual specs, simulate animations, create interactive prototypes and present all from one tool. In this two and a half hour long workshop, we'll be walking through some of the workflows that we use in Keynote, show tips and tricks, talk about best practices, do a quick demo and answer lots and lots of questions. Joel is a Southern California native working as a Mobile UX Designer at Google. Aside from Google Analytics and Android, he also advises on other startups in the valley and spends his free time hosting The Blnce podcast. Prior to Google, Joel designed for Netflix and was the Design Director for AppStack, a startup helping local business find mobile customers. Outside of his love for design and tech, Joel enjoys being a family man, consuming (too much) craft beer, wearing tattoos, and listening all things metal and folk. Ted started his design career at Duarte Design with Apple as his main client. He also worked one-on-one with Al Gore, to create the compelling and impactful slides that were the basis for the Academy Award winning film, An Inconvenient Truth. After Duarte, he spent 5 years at Apple as the lead UI designer for Keynote on the iPad, iPhone and desktop and then spent a little under 2 years at Netflix as Lead Designer for mobile. He is currently a Senior Designer at Nest. Ted studied Industrial Design, and still enjoys product design and building things in his spare time. He lives in the San Francisco Bay Area and depending on what day it is you might find him surfing in Santa Cruz or enjoying food in San Francisco. Ted is an evangelist and promotor of Keynote as a tool for User Interface designers and spoke on the subject at SXSW 2013/2014, the Academy of Art in SF, and for the Design Team at Spotify.